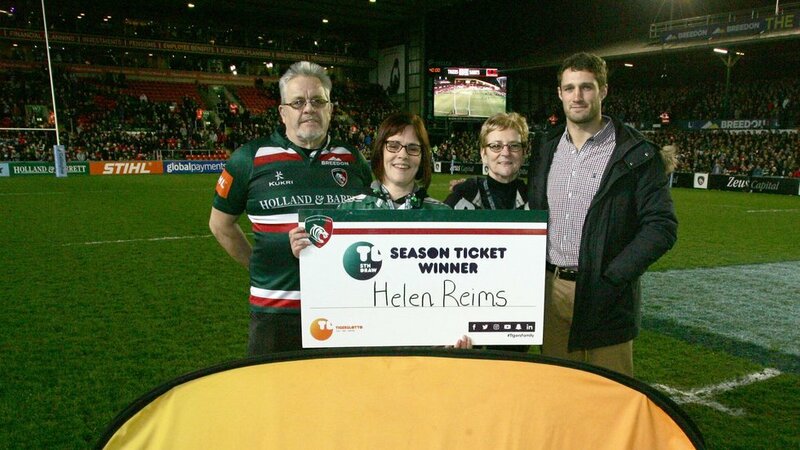 LTTV caught up with the latest TigersLotto season ticket draw winner Helen Reims to see what it was like to walk out onto the pitch during Tigers derby day fixture against Northampton Saints. Helen, who sits in the Holland and Barrett Stand, was joined on the pitch by her mum and dad. Watch our half-time chat below.